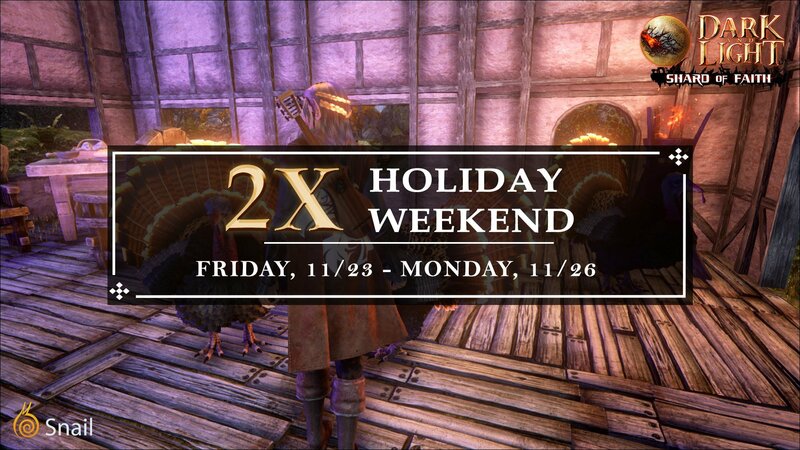 We will be having 2x experience event from 11.23 to 11.26 in celebration of Thanksgiving! Turkeys will join the Shard of Faith as well. There is possibility that they will spawn from harvested shrub and bush.